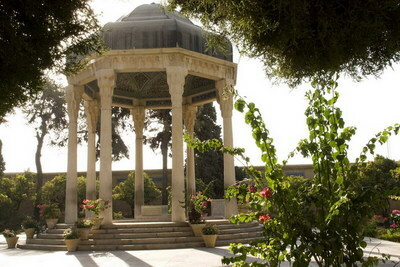 The 20th c. CE tomb of Hafez, Shiraz, Iran -- Photograph 2009 Via Wikimedia Commons. The world's leading states -- the U.S., Britain, Germany, France, Russia, and China -- stand at an impasse in dealing with Iran and its nuclear potential. Iran has been a major contributor to the survival of the regime of Bashar Al-Assad and Al-Assad's unrestrained bloodshed in Syria. A full European Union embargo on Iranian oil was scheduled to begin enforcement on July 1. An Israeli military strike at Iran's nuclear facilities has been widely discussed. Meanwhile, two dissenting Iranian religious figures -- an imprisoned cleric and an exiled spiritual Sufi -- have issued messages to the world condemning the Iranian theocratic authorities and calling on all religious believers to assist Iranians against the governing hierarchy. Both men -- Ayatollah Seyed Hossein Kazemeini Boroujerdi, who is held in the notorious Evin Prison, and Seyed Mostafa Azmayesh, who lives outside Iran -- have denied that the current dictatorship in their country represents Islamic principles. The cleric and the Sufi became victims of state repression in 2006, the year after the first election of Mahmoud Ahmadinejad to the country's presidency. Neither Ayatollah Boroujerdi nor Seyed Azmayesh has appealed for a violent effort to repudiate the Islamic state. They are advocates of peace on the path of peace. Ayatollah Kazemeini Boroujerdi in his prison cell. In 1994, Ayatollah Boroujerdi criticized the political system that was established by the Iranian Islamic Revolution of 1979 and founded on the concept of "governance by the religious jurists." He then said that Iranians are loyal to Islam and the mission of Muhammad, but are "tired of the religion of politics and political slogans." Boroujerdi was arrested in 2006 and confined at Evin. He had denounced Muslim fundamentalism and anti-Jewish prejudice, and called for religious freedom. He led blessing ceremonies or invoked divine grace at occasions involving Sunni and Shiite Muslims, Christians, Jews, Zoroastrians and Baha'is. He argued additionally for the abolition of the death penalty and abusive physical punishments including torture, stoning and flogging. From his jail cell, Boroujerdi has proposed a "Religious Plan for Peace" that would disseminate information to counter radical propaganda, reject and prevent terrorism and organize opposition to the Iranian overlords. 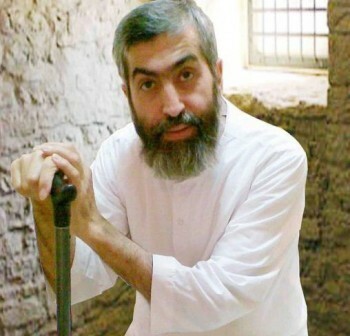 Reflecting the hardships of his incarceration, Boroujerdi refers to himself as a "dying cleric." "For the last 32 years, Iran's national resources have been plundered in the name of religion, and the people that are the real owners of this holy land, have been killed. ... The clergy who were famous in loyalty and sincerity, have been made despicable and their good reputations have been ruined. ... the existence of God as the common point of all divine religions, beliefs, and ideologies has been abused in this part of the world by fake and false claimants to Islam." The other vocal Iranian religious protester, Seyed Azmayesh, is a representative of the International Organization to Preserve Human Rights in Iran (IOPHRI), based in Brussels, and a leading spokesperson abroad for the Gonabadi-Nimatullahi Sufis. The Gonabadi-Nimatullahi Sufis are a Shiite Muslim metaphysical order with a distinguished history in Iranian culture. 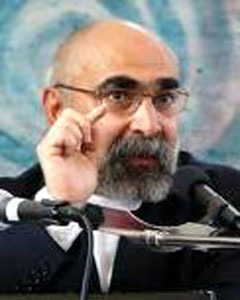 Seyed Azmayesh and his colleagues strongly supported the "Green Movement" protests against the alleged vote falsification that reelected Ahmadinejad in 2009. Offering his analysis of the Iranian ideological structure, Azmayesh, as a theologian and expert in religious law, addresses Islamic shariah. In the Islamic legal context, Seyed Azmayesh distinguishes between two components of shariah. One is canonical law, which governs relations between the individual and God, including "prayers and the methods of praying, how an individual can approach more closely the creator." According to Azmayesh (and other critical Islamic scholars), "a second element governs relations between individuals of the same religion in a society." This aspect of shariah is jurisprudence, and is dependent on "the evolution of the society ... new laws concern new events and the new phenomena in society, which did not exist in the time of prophet Muhammad. This part of shariah ... is in evolution with the development of the society. It is not stable, it is flexible." Seyed Azmayesh cites the emergence of applied genetics, including cloning and in vitro fertilization, as an aspect of contemporary history of which any precedent is absent from the Quran and other traditional Islamic guidance. Azmayesh argues, "We are in a new society in which the religious law, the shariah, is going to be limited only to the relationship between mankind and his creator." This precept refuses totally the claim of the Iranian clerics and other Islamists that shariah must be the foundation of political and social life. Azmayesh censures the Iranian rulers for using the great Sufi figures of the past, such as Jalalad'din Rumi in the 13th century C.E. and Hafez a hundred years later, in the same way they use the Quran and Islam: as cover for their political goals. Seyed Azmayesh has cautioned Westerners "not to take fanatics who claim to represent Islam as the representatives of the Muslim community," but to turn to the Sufis for an understanding of the Muslim faith. The violent encounter between radical Islam and the West that has marked the first decade of the 21st century cannot be resolved by Western improvisation, archaic attitudes, mechanical diplomacy or energy politics. Moderate, spiritual Islam remains unknown and unaccounted for in the West, but, defended by men like Ayatollah Boroujerdi and Seyed Azmayesh, it remains a key factor in understanding the conflicts within Islam and between Islamist extremists and the West. As politicians in the West attempt to engage with Iran while opposing its nuclear and other menacing policies, they should not neglect to hear and reflect on the views of Iran's religious nonconformists.